Sweet wrappers, a razor, pens, some packaging for medicines, a tube of glue, packaging for underwear and a broken elastic band. 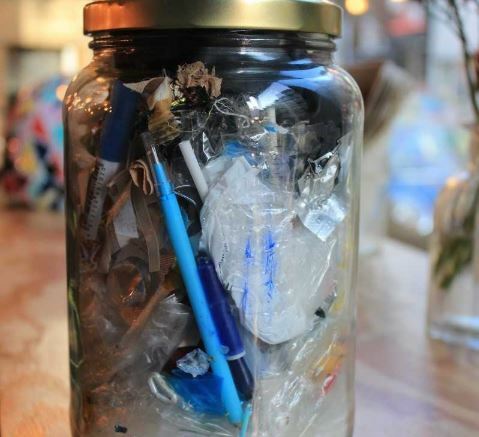 “Here is all the waste we produced in the last seven months, with my husband and my two daughters,” says Sylvie Droulans, pointing to the 1.5 litre jar her family uses to store rubbish. Their adventure towards a zero-waste life started three years ago, when Sylvie attended a conference by Bea Johnson, a French blogger now living in the United States who is a model in the zero-waste community, sharing advice and pieces of her daily life on her blog. “We had already been careful about our environmental impact since the birth of our first daughter, 10 years ago,” says Droulans. “But I realised we had totally forgotten about our waste. I started making the kids’ snacks on my own. I wondered a lot about the industrial snacks and what they are made of. I wanted to control the way they are made and to reduce the packaging. Most of the family’s waste today is plastic. Plastic waste is a huge problem across the world. The oceans are filled with more than 150 million tonnes of plastic and between five and 13 million tonnes are added each year. About half of this is composed of single-use plastic, such as plastic straws, food packaging, disposable dishes and coffee cups. It is a problem that has piqued the interest of the European Union. Last October, the European Parliament agreed on a directive proposed by the Commission, aimed at reducing single-use plastic products. The Council of the European Union still needs to agree on the directive. Once done, the three European institutions will negotiate to set concrete goals for member states, “like prohibiting the placing on the market of plastic straws, cutlery and plates, ensuring a reduction in the use of food packaging or collecting plastic bottles,” Ries adds. Each European citizen produces, on average, 500kg of household waste per year - only 40% of which is recycled. 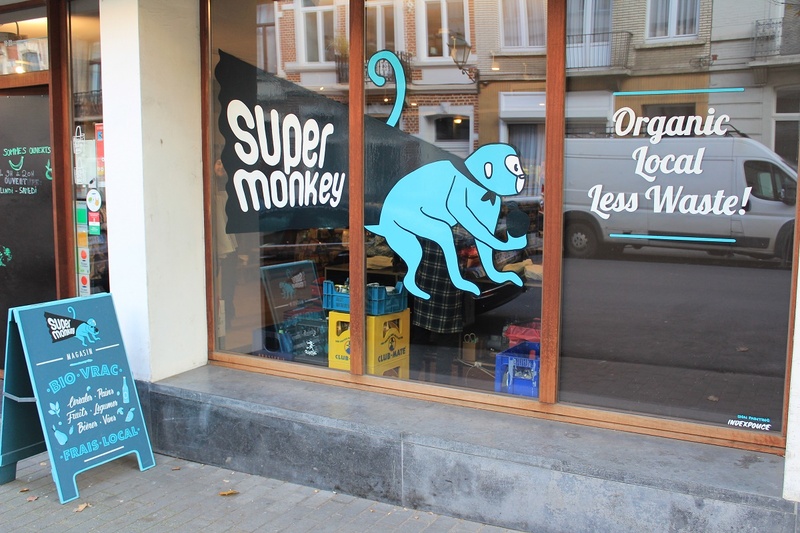 Zero-waste shops have popped up in every European major city in the last years – and Brussels is no exception. All kinds of dry goods are stored in small silos. Pasta, pulses, rice, cereals, lentils are aligned on the wall, waiting for the customers to come and serve themselves. “They can bring their own containers, like cotton bags or jars, or they can use the paper bags available,” explains Couvreur. Labels show slightly higher prices than in conventional supermarkets. "It’s because the producers are paid more fairly,” he adds. “That’s actually the price we should always pay. It’s just that we are used to paying less. In our shop, we make the choice to support local producers and thus, to pay them the fair price." 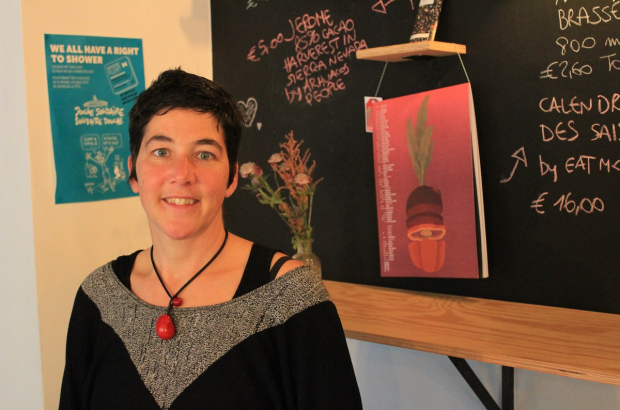 For Sylvie Droulans too, the price is worth the product: "I give my money to someone, and to a product that matches my environmental and social values.” She ensures that by cooking a lot and making her own products, she also saves money and, in the end, balances her budget. 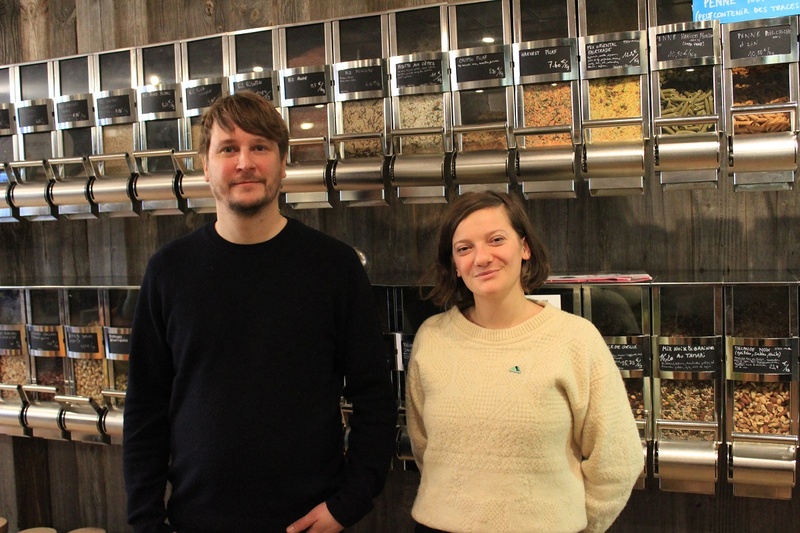 Zero-waste shops are only a single step on the way to zero-waste life. Other changes can be made in daily life, such as saying no to disposable straws, buying a reusable water bottle, using cotton bags for grocery shopping or buying second-hand clothes. Droulans advises: “Start with something you feel able to do." Yeah, yeah it all sounds idyllic until you apply some realistic and science based metrics to measure the true environmental, social and financial impact of the Droulans lifestyle. This will reveal it’s not quite the rosey picture painted. Full marks however for their effort, I’m sure there are some useful lessons being learned.